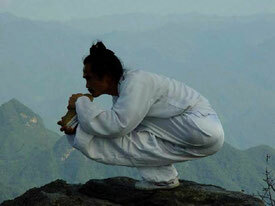 The Soen Ren School teaches traditional eastern forms of both exercise and spiritual practice, including chinese practices and martial arts; taiji (tai chi), qi gong (chi kung), meditation, nature connection and yoga. At the root of these practices is the intention to build strength and flexibility in the body, stability in the mind, and sincerity in spirit. Teaching is based in central Edinburgh and East Lothian, and soon in Fife, UK. All articles, photographs and videos are the property of Soen Ren and are not to be reproduced without permission. Thanks.